Home» Blog » Launching a Business? Build Your Audience First. “What’s the first step to starting a business?” Common answers to this question include coming up with a name, figuring out who your target market is, identifying the products and services you want to sell, identifying a location for your business or setting up an LLC. These tasks are all important, but I would argue that none of them are as critical as getting the attention of a group of people that are interested in you, your content and eventually what you want to sell. You could develop an amazing new widget or offer the best service in your industry, but that doesn’t matter if nobody knows about it. One of the biggest reasons businesses fail early on is that they don’t connect with their customer base soon enough. Many entrepreneurs often fail to communicate with their customer base as they are developing their product or service and end up building something that nobody wants or needs. They fail to understand the wants and needs of their target market because they didn’t listen to what their potential customers have to say. Others launch their business and simply can’t afford to pay fixed monthly expenses to keep their business operating while they grow their customer base. If you run a local coffee shop or restaurant, you’re making a lease payment and paying employees and utilities whether you have customers or not. If you don’t have a group of customers ready to buy your product on day one, you may have to incur operating losses for months until you can grow sales to the point where it covers your fixed monthly expenses. Most entrepreneurs underestimate how much work is involved in marketing their businesses. There are many functions that go into running a business: product development, accounting and tax, legal, hiring and payroll, customer service, real estate, etc. Most businesses think marketing is just another one of these categories of business work that needs to be taken care of, but the reality is that marketing is typically anywhere from one-third to one-half of the work that goes into launching a business. Marketing is a big job. Consumers see thousands of advertisements each day and it takes a lot of work to get them to change their purchasing behavior and give you some of their hard-earned money. You can’t wait until you launch your business to start marketing or put a minimal amount of effort into marketing and think that customers will be knocking on your door. It just doesn’t work that way. Marketing has to begin months before you launch your business if you want to be successful and have customers on day one. The formula to getting people to pay attention to you before you launch your business is relatively straight forward. Have something interesting to say and start saying it to an existing group of people that are already talking about what you want to talk about. For example, let’s say that you want to launch a personal assistant service where you’ll buy groceries and run errands for new moms during the first few months of their child’s life. You might find Facebook groups in your area that cater to moms and start talking about the challenges that new mothers face. You might also start blogging or set up an email list to capture the attention of the people that are engaging with what you have to say. You do this consistently for a period of 6 months and find that you have 1,000 mothers in your community on your email list. When you’re ready to launch, you’ll have a group of moms that are all potential customers and sources of referrals for your business. It’s not any more complicated than that. Make a Facebook Group. Create a group of people on Facebook to talk about your industry. Post one piece of engaging content per day and your group will naturally grow over time. I did this with the Sioux Falls Entrepreneurs group on Facebook and grew that audience to 4,200 people in less than six months (without trying all that hard). If I wanted to launch a co-working space or another business that caters to entrepreneurs, I would have a ready-made group of customers on day one. Guest Blogging and Podcasting. You’re almost certainly not the first person to build an audience in your industry. 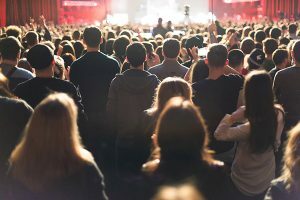 Find out who already has an audience in your space and see how you can borrow the attention of their existing audience. This might mean writing a guest post on someone else’s blog, being a guest on their podcast or recording video with them for their YouTube channel. Remember that the only reason someone else will let you talk to their audience is if you have something valuable and helpful to say, so make sure that your primary focus is delivering value to their audience and their audience’s attention will naturally gravitate toward you. Becoming a Content Producer and Capturing Attention. You can also launch your own blog, podcast or YouTube channel to start broadcasting your message to the world. By owning the platform that you publish on, you can collect email subscribers, web push subscribers, podcast subscribers or YouTube subscribers. Nothing is more powerful than having your potential customers automatically receive new content that you publish through some form of subscription. When you’re ready to launch, you can instantly reach out to your subscribers and tell them you have something new to share with them. These strategies are not mutually exclusive, and you may want to do all of them for the best chance of success. You should have some strategy to get the attention of people that are not already aware of your business (guest posting, engaging people on Facebook, etc.) 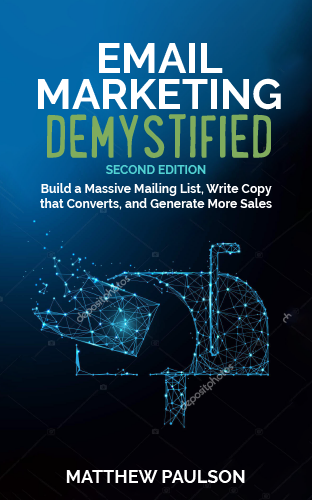 and then some method of capturing that attention (an email list or your own Facebook group) so that you can communicate with them on an ongoing basis. Building an audience prior to your launch isn’t an easy task. It’s not a strategy that works overnight and it takes six to twelve months of consistent effort to see results. Audience building takes time, but it’s well worth the effort. Nothing will set your business up for success more than having a group of people already paying attention to you on launch day. You could have dozens of customers buy your product or sign up for your service on day one if you’re willing to do the work of pre-launch marketing.